Do you have something on your mind that you want to share with others? Perhaps, a thought or an opinion on an issue in Clark County, or in our nation for that matter? Maybe you have thoughts on a candidate running for an elected position in the upcoming election, or another issue that is before voters on the ballot? 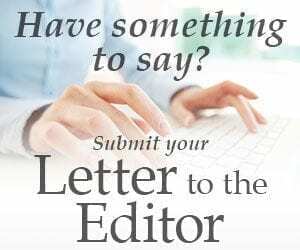 ClarkCountyToday.com would love to publish your letter to the editor (free of charge). Please feel free to submit all letters to the editor via email to Editor Ken Vance at news@clarkcountytoday.com, or you can use the form below. Please include a recent photo of yourself to be published with your letter and also include your city, or town, of residence. Letters should be no more than 600 words and should not contain any abusive language or personal attacks on other individuals. Will not be published, but helpful if we need to contact you. Please include a recent photo of yourself to be published with your letter.